Add on top of that, the lengthy discussion we had on the last podcast about the above pin not being one of the 11 revealed characters or combo topper in Park 7. 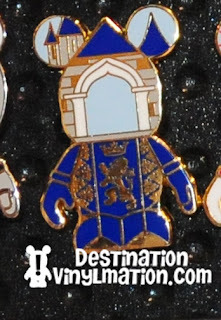 And how I mistakenly described the pin as being maybe the Hong Kong Castle until it dawned on me that the design on the body is that of the banners that hang outside Cinderella’s Castle at WDW. All that being said… what are your thoughts on this chaser? I think it’s the first great one since Lincoln in Park 6. Im not crazy about it. It’s good. But, I dunno. 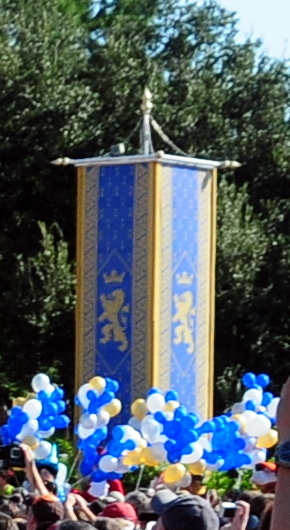 The spires on the ears just look “off” to the rest of the design/castle. It’s fine. I don’t need to have it though. It doesn’t seem chaser worthy. Maybe I expect more of an expected aspect of the park for the chaser. I actually was hoping for something Hanunted Mansion out of this series since on the case box they show the Hanuted Mansion poster. Why put it on there if there are no Haunted Mansion figures? and I agree with the above poster about the new mold. Save new mold for Project Z and go back to the original for these! I agree with those that have already posted. 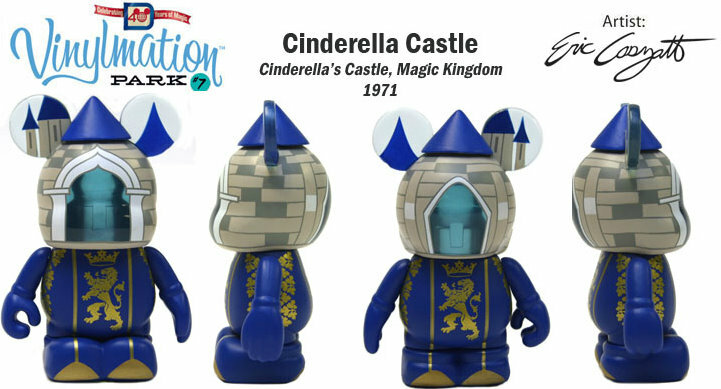 It just seems that Disney continues to miss with these chasers. 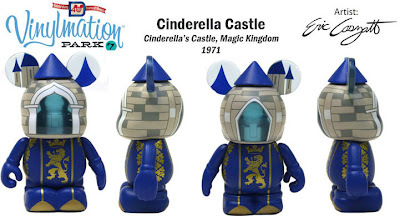 If they wanted to do Cinderella’s castle as the chaser, great, but squishing the whole thing into the head and ears just doesn’t seem to work. I really like this one but I think it’s because I am such a fan of the Parks. For me it’s subject over execution this time! We bought a case today! This is one of the first series since we really started collecting that our whole family has just loved. So excited that they were released a week early!